Is your ideal Friday night spent in pajamas with your book boyfriends? 🙋🏼Ours too! This month, we want to send you everything you need for a cozy night spent between the pages of your next favorite read! 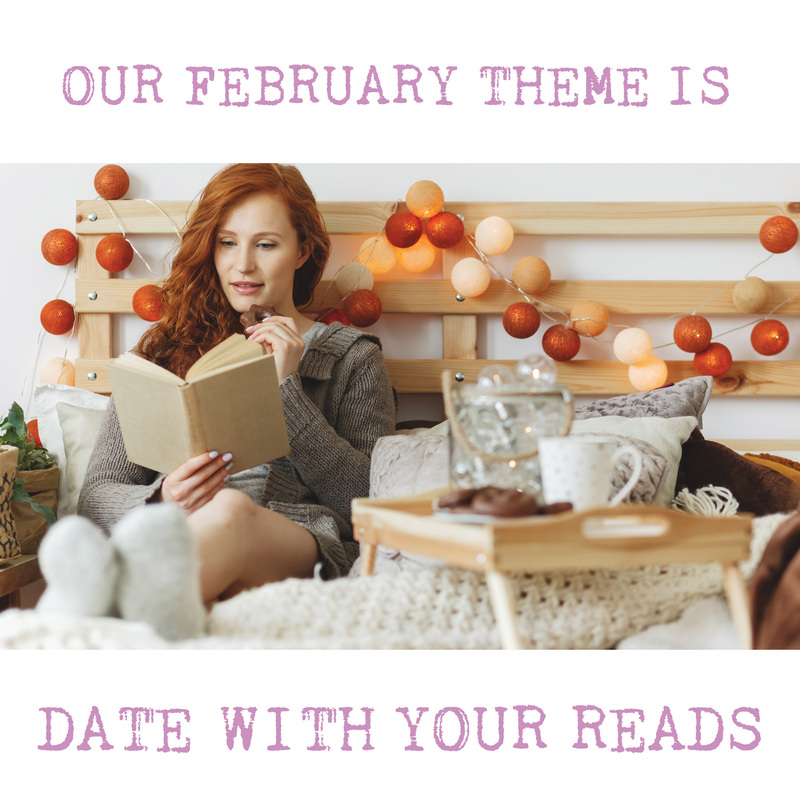 February's 'Date With Your Reads' box will set you up for the perfect valentine. ❤️ (Pssst... don't forget to enter the last of our '12 Days of Christmas Giveaway' at the end of our announcement post) 🌸 This box will contain 1 set of items to share with your loved ones, 1 cozy item, 1 LARGE snuggly item and more! 🌸 Our February book of the month is sure to keep you up all night long. It’s almost 500 pages of drama and intrigue! In true blind date with a book style, here are 4 key phrases to describe our next pick: Jewel thieves, Kick-boxing drag queens, Rebel heiress, High-stakes heists. Perfect for fans of Ocean’s 8, Moxie, and Rupaul’s Drag Race. 🌸 There will be 6-7 items in this box plus a hardcover book, signed bookplate and author’s letter. We’ll also be revealing our first vendor very soon! 🌸 February 'DATE WITH YOUR READS' boxes will be on sale January 2nd. If you’re already a subscriber, no need to worry! We have a box reserved for you already! Boxes will begin shipping on February 5th.